Lindsay Lohan rejoins with co-star Jonathan Bennett after Beach Club Show. This is true that if a renowned celebrity takes a selfie with anyone, it raises lots of gossips and rumors on the topic of their activities. Likewise, some news is going viral about one of the top American actresses. Let's find out what that matter actually is. 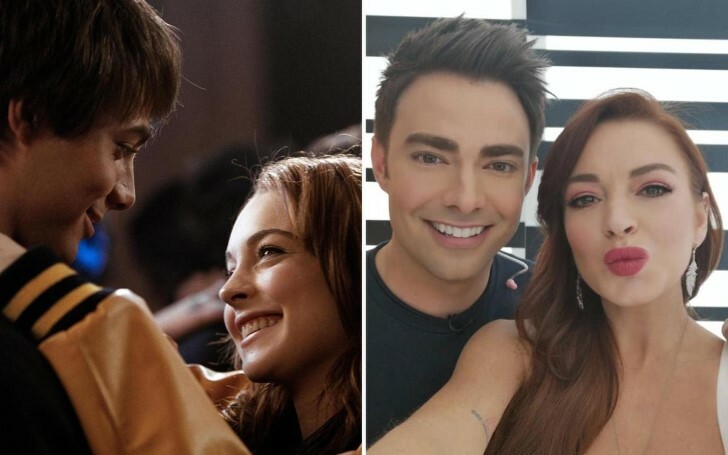 On 5th January 2019, Lindsay Lohan, who played Cady Heron in the teen comedy, took to Instagram to share a selfie with Jonathan Bennett, who worked as her love interest, Aaron Samuels in the same teen comedy. Beach Club brought the actress, Lohan together with Jonathan Bennett for the first time since Mean Girls wrapped in 2004. Bennett will host Lindsay Lohan's Beach Club after show special, a 30-minute program which debuts directly after the premiere of Lohan's new series on 8 January 2018. The actress, Lohan will join Bennett for the after-show in a studio packed with her biggest fans, as she responds questions about her journey abroad and marketing business empire. Alongside the after-show news, MTV premiered a new clip from Beach Club, showing just what kind of shenanigans we can expect from the show. In the video, Lohan and her business partner, Panos Spentzos, get to know the staff of her Mykonos luxury club. "It brought me back. There was that moment when you're sitting in the chair, they do your hair and makeup like Aaron Samuels, and they spin you around for the first time and you look in the mirror. That was the first time I saw him in 15 years, and it was like seeing an old friend. It takes you back to that time when life was just simpler." "I know I'm straight. I have made out with girls before, and I had a relationship with a girl. I think I was looking for something different." Likewise, Bennett came out as gay in October 2017 and he was in a relationship with previous Amazing Race contestant and current Celebrity Page host Jaymes Vaughan. Maybe the rumors will catch fire speculating on Lohan and Bennett's relationship but nothing is confirmed yet. The only certainty is there's a mutual bond between two stars who worked in the same movie in previous years.